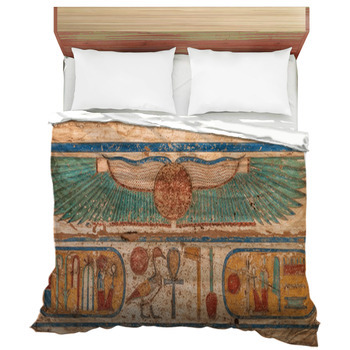 Turn your bedroom into the ultimate Egyptian palace with a personalized Egyptian bedding. 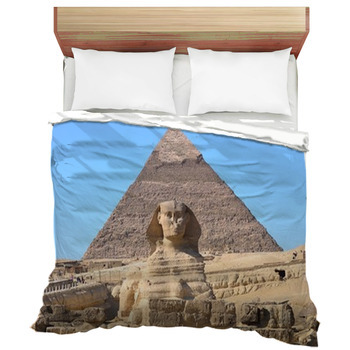 Add the Great Pyramid of Giza, the Sphinx, or the Luxor to a bedding design near you. 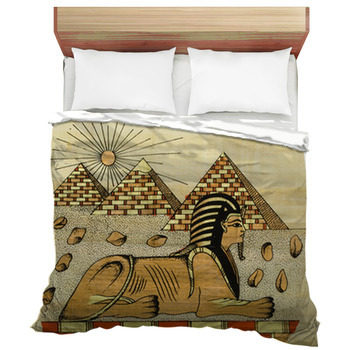 The amazing sights of ancient Egypt can come alive with unique bedding made to fit your own one of a kind style of decor. 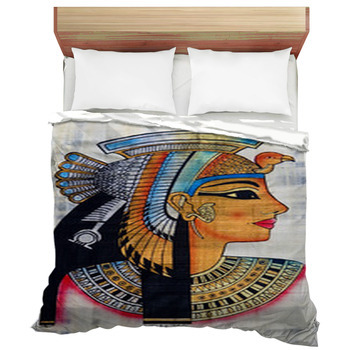 From Cleopatra to King Tut, the mummies aren't the only ones sleeping peacefully in their very own personalized duvet or comforter. 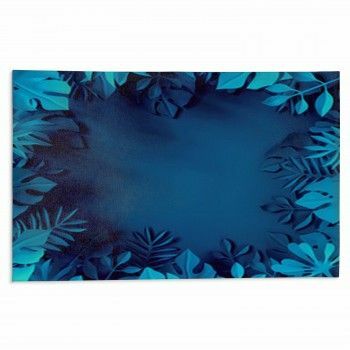 Wrap up in a set of customized sheets and start dreaming of adventures along the Nile River. 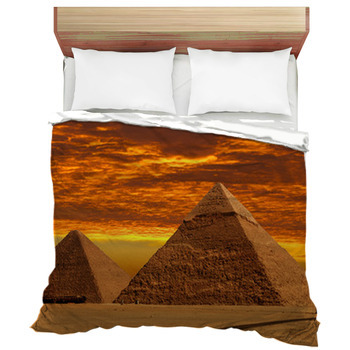 The immense pyramids of ancient Egypt make for truly stylish bedding designs as they are the oldest structures in the city of Giza, and also the only ancient Wonder of the World still left standing. 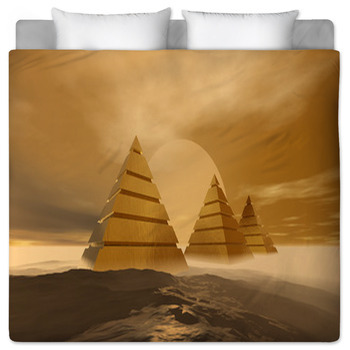 However, you can turn your room into the 8th world wonder with a design showing off an ancient pyramid. 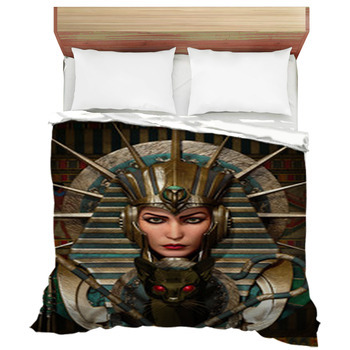 Vivid and defined, this phenomenon of ancient engineering will adorn your walls and bed creating a realistic Egyptian theme. 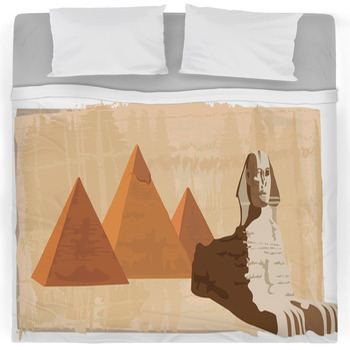 With its amazing statues and monuments to ancient Egyptian art, the sights of Luxor make for spectacular bedding designs. 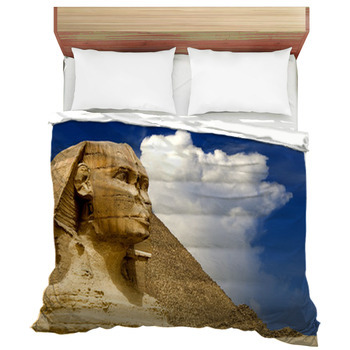 Create a remarkable personalized comforter or duvet featuring a soaring statue of an ancient pharaoh or a towering obelisk filled with hieroglyphs. 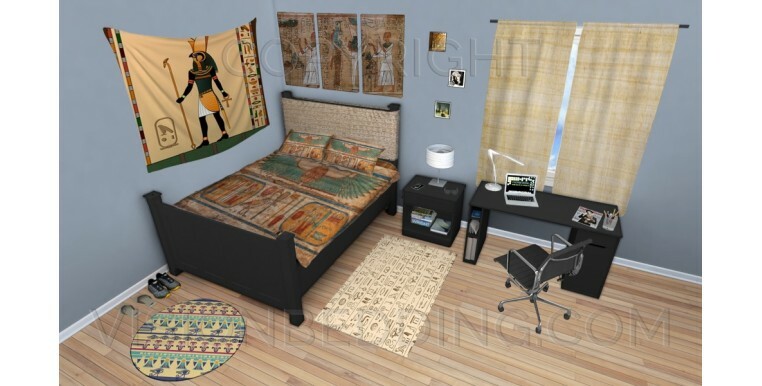 Every aspect of this long gone empire can be recreated to make a custom bedroom decor that suits your style perfectly. 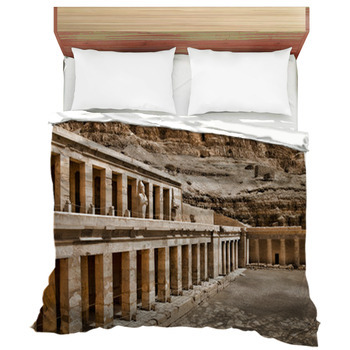 Use your own favorite photo of Egypt and we will make it possible for your photo to come alive in your own Egyptian bedding. 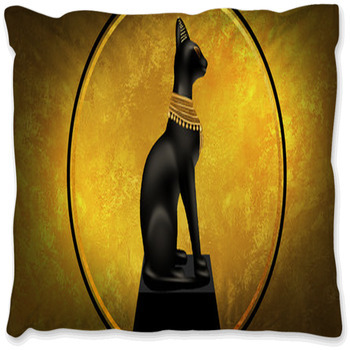 On the other hand, if you have a family member, friend, or relative who is enthralled with the glamour of Egypt, giving them the gift of Egyptian bedding or pillow cases, rugs and curtains will, without a doubt be a truly memorable occasion. Complete your unique theme with a custom rug and prepare to take a step back in time every time you walk into your bedroom.